For over two decades A.D. Global Solution has been the market leader for management consulting – a position reached and maintained thanks to its complex and consistent structure in which the various parts interact constantly to furnish global solutions to businesses and institutions. The high quality of the services offered doesn’t depend solely on the profound specialization of its divisions but also, and most of all, it depends on A.D. Global Solution’s determination to be a KNOWLEDGE BASED company. The diverse operative areas dialogue with one another in order to develop their competencies and offer the most suitable answers in relation to the client’s needs. A.D. Global Solution’s organizational model and operative capabilities support businesses in order to reach their educational goals, whether it is of a singular specialization or a more complex process regarding management development. Our team is composed of hundreds of professionals specialized in various areas with many years of experience in the classroom. A.D. Global Solution, with its five divisions, covers every aspect of the training process, from seminar planning to the drafting of manuals, organizing courses in connection with the training, establishing a natural connection between the didactic, support and work activity. The proposed solutions are shaped not only by the precision of our technical contents, but also by our capacity to communicate knowledge, utilize tools and develop solutions. Web conferencing: the course is given in video conferencing, with the possibility to interact and share files and documents with the teacher and other course participants. E-Learning: the registered user can follow the course through a multimedia platform which permits the selection of numerous lessons and multiple didactic activities. Phone languages: studied and designed for linguistic training, the learning process comes through the use of the telephone, minimal notice is required. The extreme flexibility of this course meets the needs of those who are very busy at work and have unpredictable work schedules. Our company proposes different blends that combine the various training models, and so offers its clients the absolute flexibility of choice and the maximum results in the shortest period of time. Since the establishment of the first Inter-Professional Funds, A.D. Global Solution has become the most secure reference point for businesses who want to take advantage of financed training. Our company manages the entire process for the client, from the educational needs of the company to the planning of the courses, from the analysis of financial viability to the presentation of the request to the Funds, from the realization of the training course to the final report. This training takes place in the outdoors to allow the participants to leave their daily life routines and give them new approaches and points of view. This training method is often used in business training pertaining to team building, team workshops and leadership skills. A development course, individual or group, that guides the participant to discover their potential and develop their own talents, according to specific improvement goals. A.D. Global Solution can translate to and from various foreign languages, thanks to its specialized resources with many years of experience in multiple sectors. A.D. Global Solution presents itself to the client as a true external training service, complete with an organizational administration. Our company can thus take charge of every aspect of the management training process, including taking care of the communication to the client’s personnel for course notifications, gathering registration and sending the convocations. In the area of IT, the outsourcing service covers both the systematic and developmental areas with junior and senior representatives. A.D. 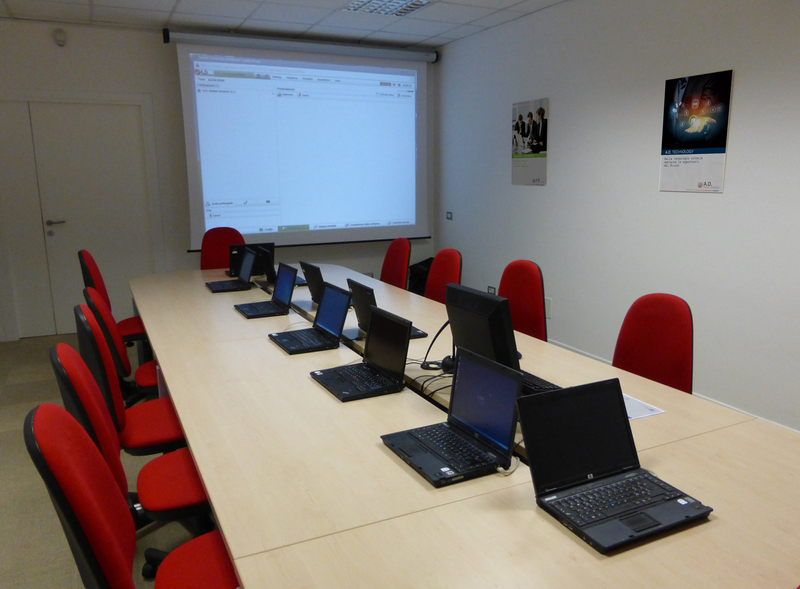 Global Solution has the availability of classrooms and spaces for the realization of courses, seminars and events in many cities in Italy, especially in Milan and Rome. This involves spaces, that not only conform perfectly to the current legislation, but are of the highest quality. These spaces are luminous, climate controlled and offer technical equipment with the predisposition for LAN and broad band internet connection. They also have the possibility to be personalized and fitted according to client needs (didactic equipment, multi-media etc.). The buildings are reachable by public transportation and easily accessible for those that come from out of town. A.D. 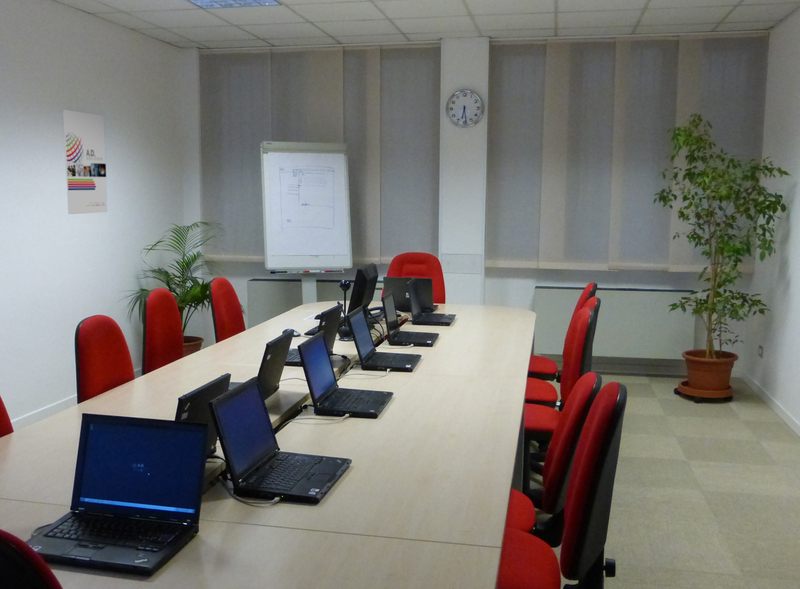 Global Solution’s itinerant classrooms are able to transform spaces, even those lacking the disposition of equipment, into high-level training laboratories, thanks to its own complete supply of portable computers, equipment and didactic instruments with which to operate autonomously at the client company.